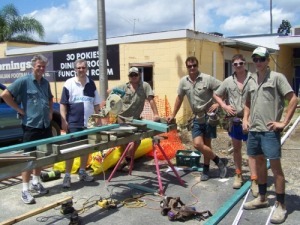 Morningside’s off-field facilities at Esplen Oval are undergoing a major facelift – and all built on community spirit. Two longtime club supporters are working on the project in a fulltime voluntary capacity, with 90% of the labour being provided by locals. The club is funding the building materials, but is issuing debentures to members and supporters to aid the project. 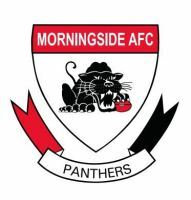 Morningside has been one of the competition trendsetters for the past two decades on the field, and performed exceptionally well to fall just short of the State League premiership last season with a predominantly young, home-grown team. Their facilities have not matched their on-field class, but all that is about to change under the bold new project, which is now well under way. The first phase involves the creation of a new covered entry, reception area, administration office, junior’s office, and junior outlet. The junior club has funded the initial works, with the remaining to be funded by the progressive issuing of debentures. 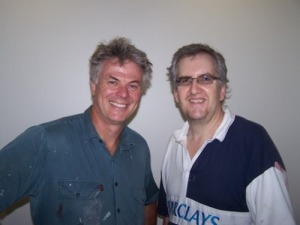 Mike Mollison and his brother-in-law Brendin Lewis are longtime supporters of the club who have opted to spend their early retirement helping re-build the facilities. “We’re just two old fogeys with an interest in the club having a go,” Mollinson said modestly. Former player Tony King has also been playing a significant role with his company Buildmaster Builders with concreting and materials procurement. With the clubhouse being modernised, plans are also afoot to bring the player facilities up to a whole new level. The Panthers have got through the first approval stage with the Brisbane City Council for the construction of a new multi-function facility, which is separate to the current refurbishment of the existing building. Included in the proposed new facility is a new gymnasium and small indoor pool, along with new changerooms, which would be available for the use of the local community as well as the club. Anyone interested in supporting the Panthers with their clubhouse renovations can contact Mike Mollison 0400 882 109.